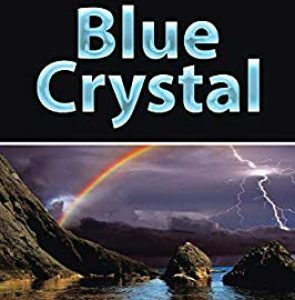 This book tells a fictional story of the CIA and MI5 battling to stay one step ahead in the face of 2 new technological inventions based on psychological effects. The trail has led to the historic town of Exeter, where the CIA are experimenting on the general population and The Cedars mental hospital in particular, without British consent. After the initial frenzy, MI5 get the measure of what is going on and a complex international situation develops, where David Cameron and Barack O’bama cooperate for a while, before competitive tensions emerge once more. The CIA open an office in Exeter where the main characters, Julia Barnes, Kingsley Khan, Henning Horlicks and Theofanes Raptor lead the charge. Their antics regularly bring them moral dilemmas as a result of their work. And it forces them to think long and hard about what their technology is really telling them. Conspiracy theories abound. The hunt focuses on “Leather Jacket Man” or LJM, who has a Bipolar mental health profile and lives close to the epicentre and the end of the trail, St Thomas church. His character is based on the real-life experiences of the author, including Psychosis and Paranoia that develop as a result of him believing that security services are following him around. In the final chapters, a new mobile technology called SuperVan hits the streets and is used to follow the trail in reverse, starting in the USA and ending up in Australia. LJM discovers the answer to the question of Telapathy, but keeps it a secret from the CIA and MI5. Until next time!